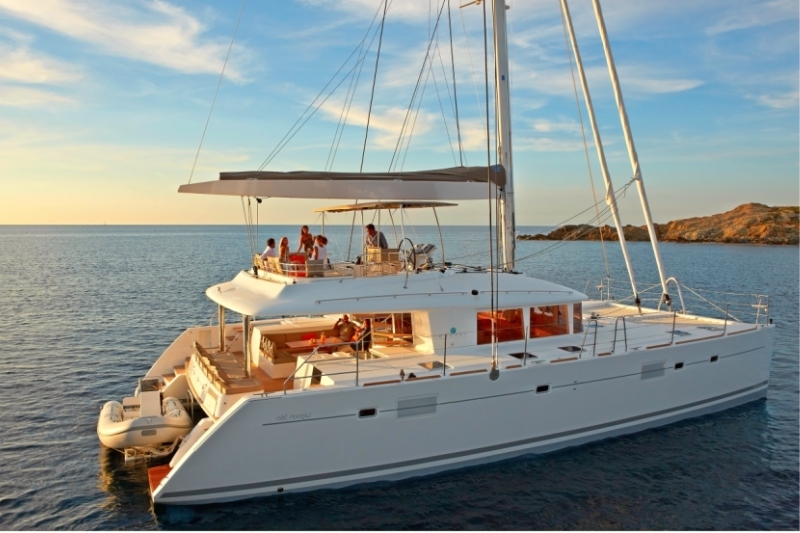 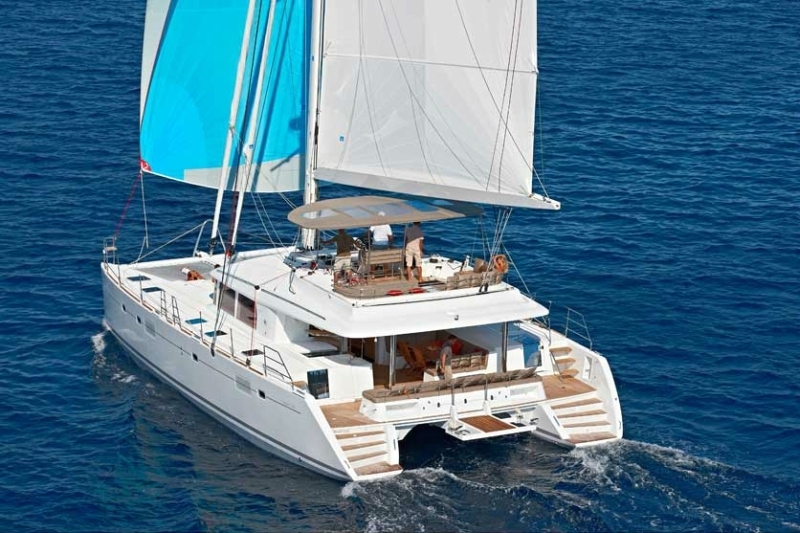 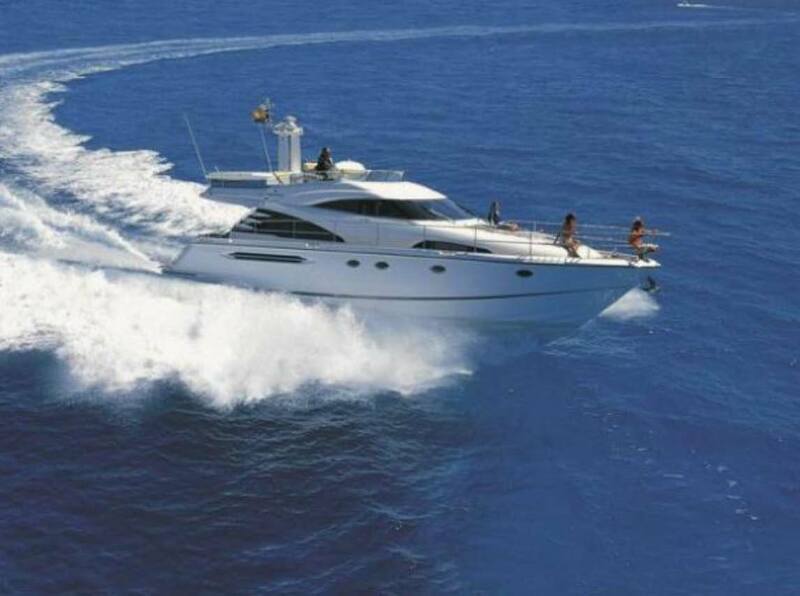 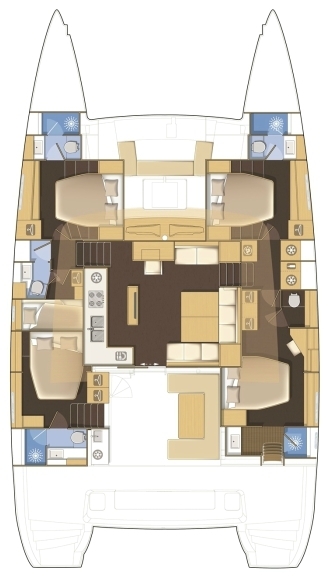 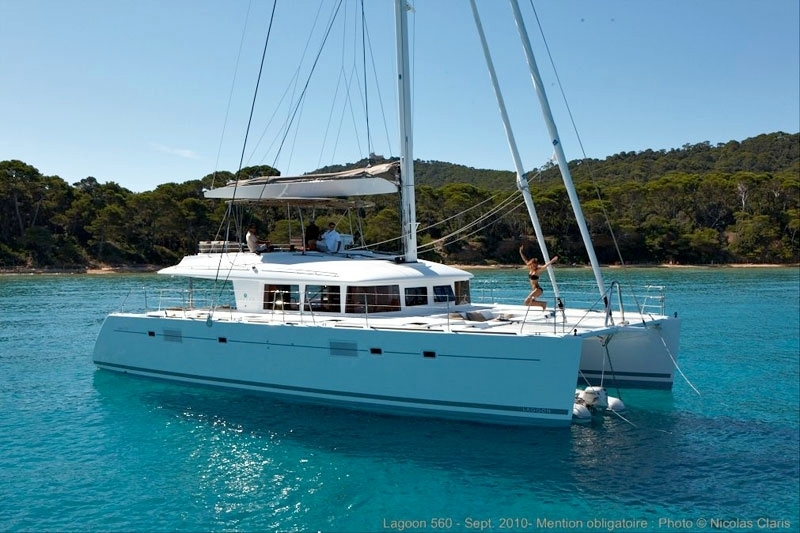 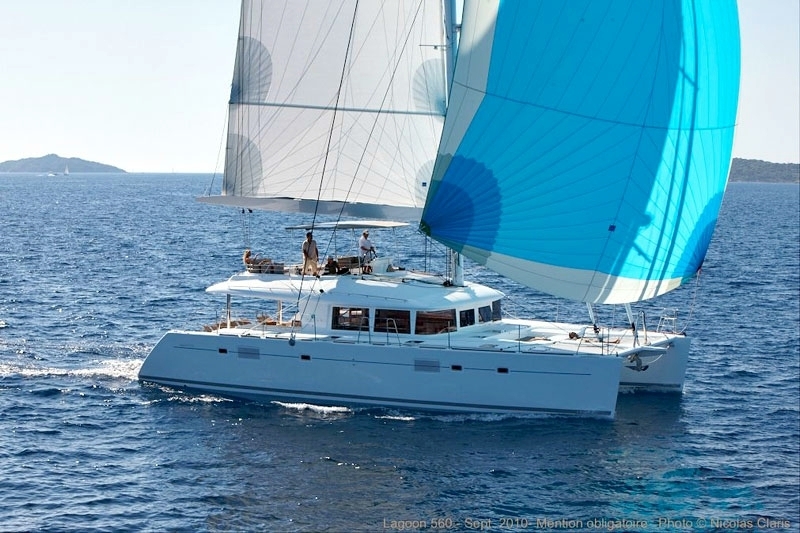 Explore the mythic Greek islands on board the brand new Lagoon 560S2, MOYA , to be launched in Spring 2014. 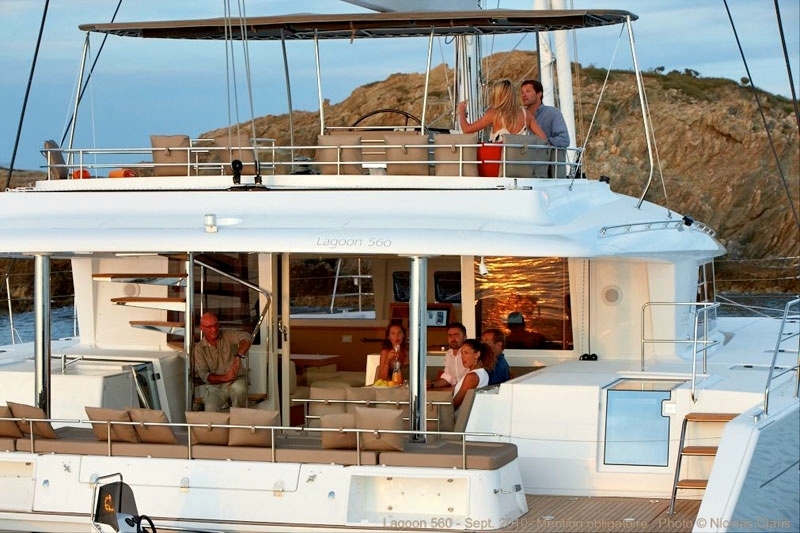 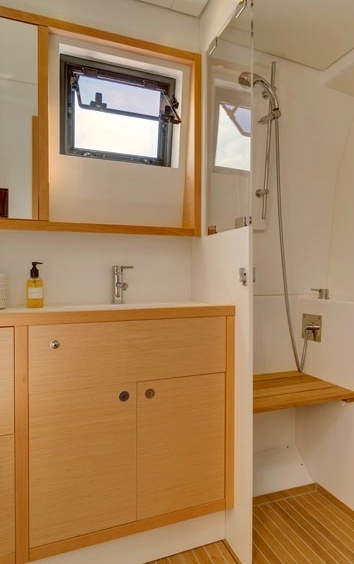 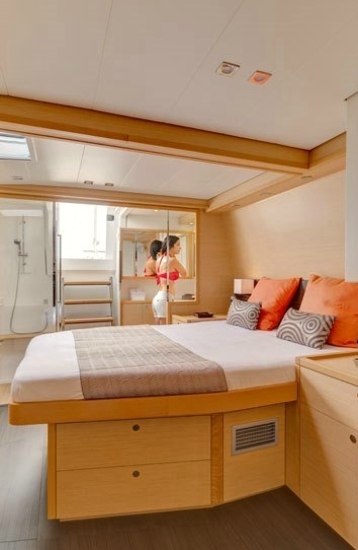 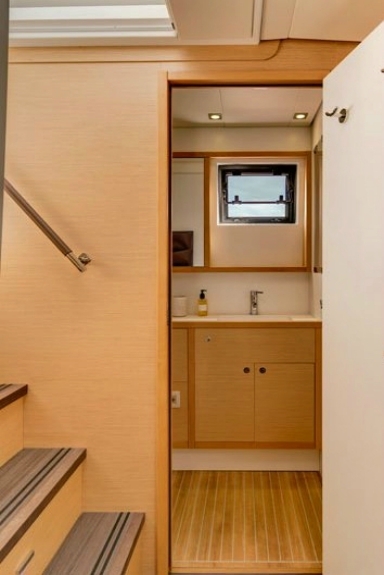 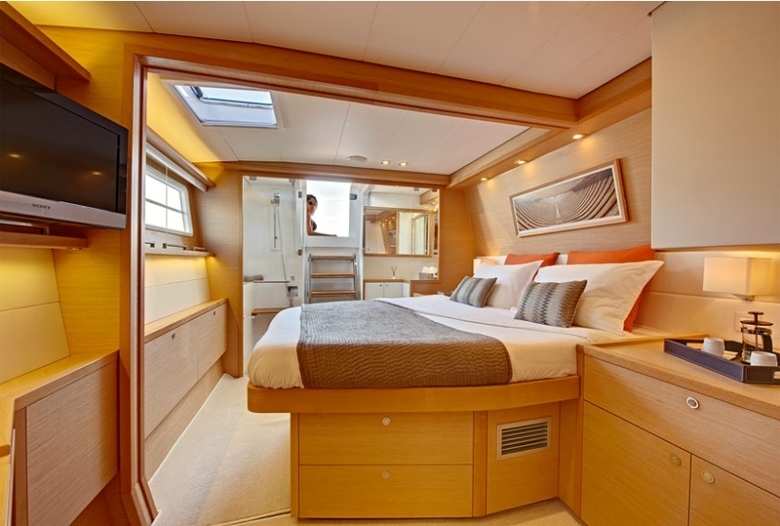 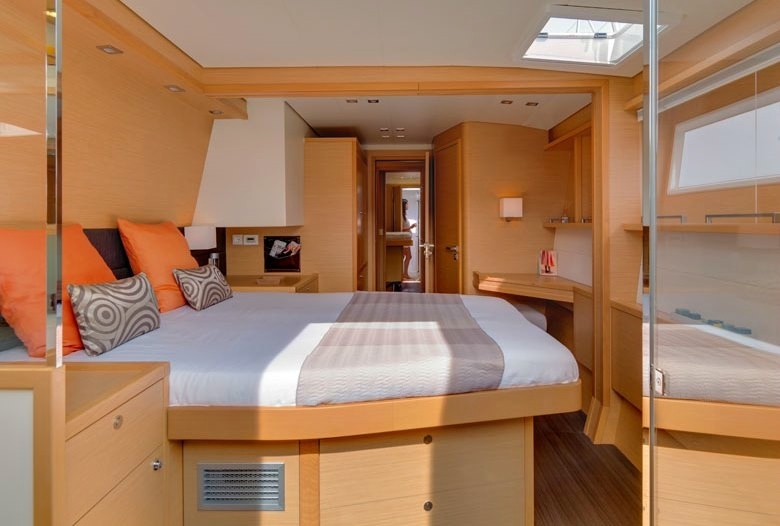 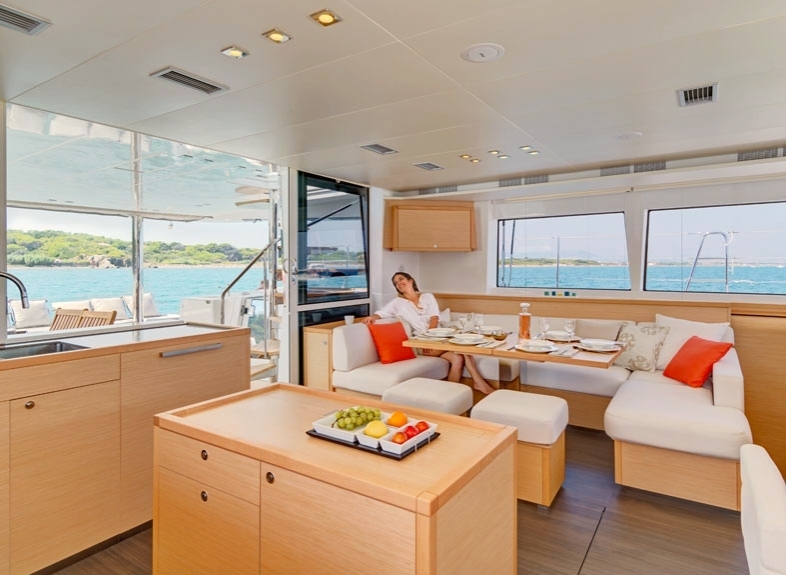 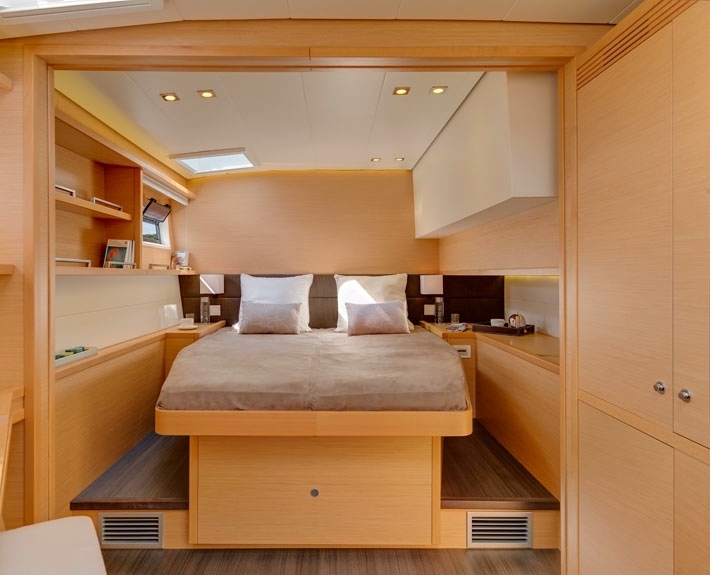 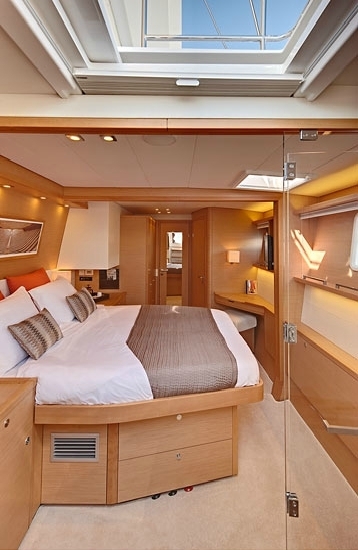 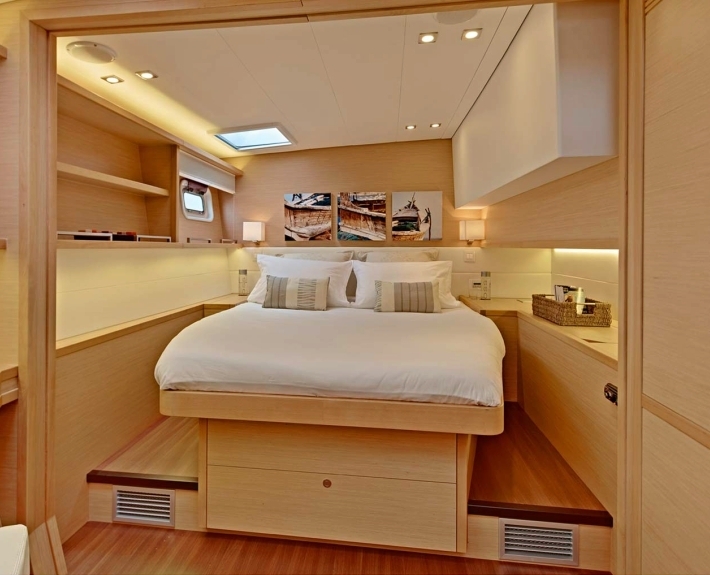 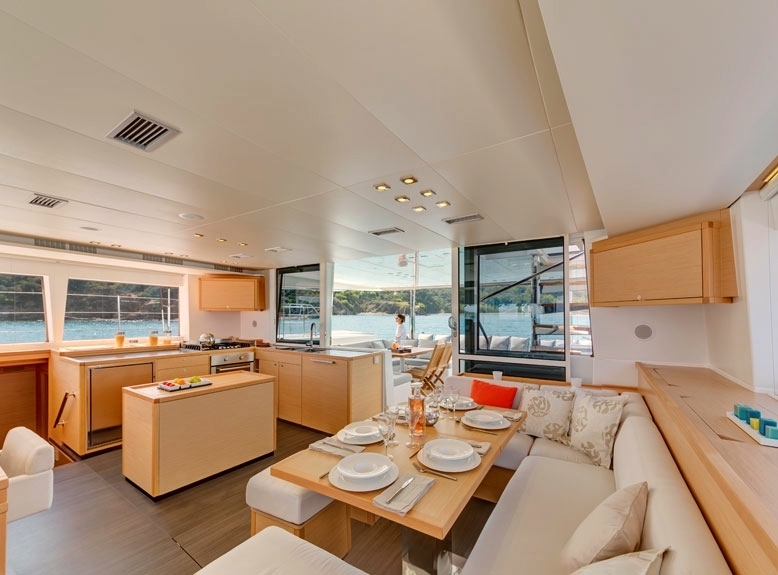 Moya accommodates 10 guests in 4 luxurious Queen cabins and one with upper and lower bunks. 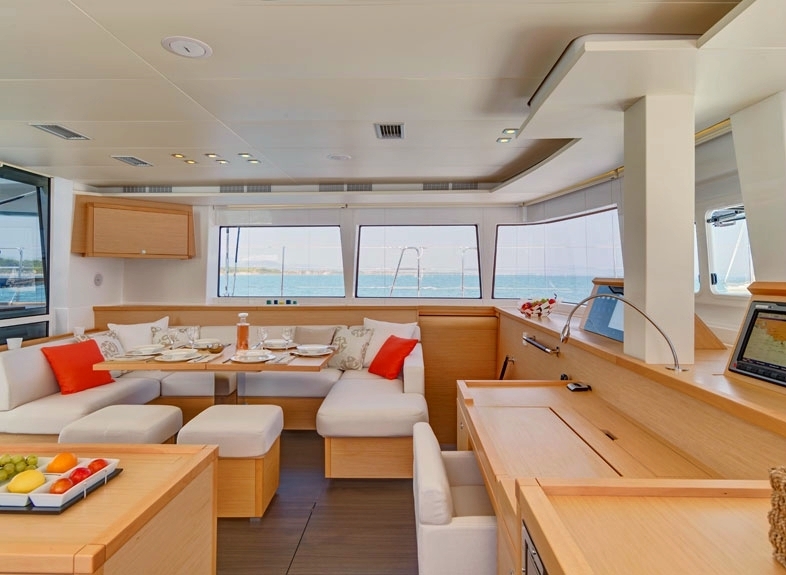 This luxurious, high-performance deep-water catamaran, will definitely exceed your expectations in terms of comfort, handling and style. 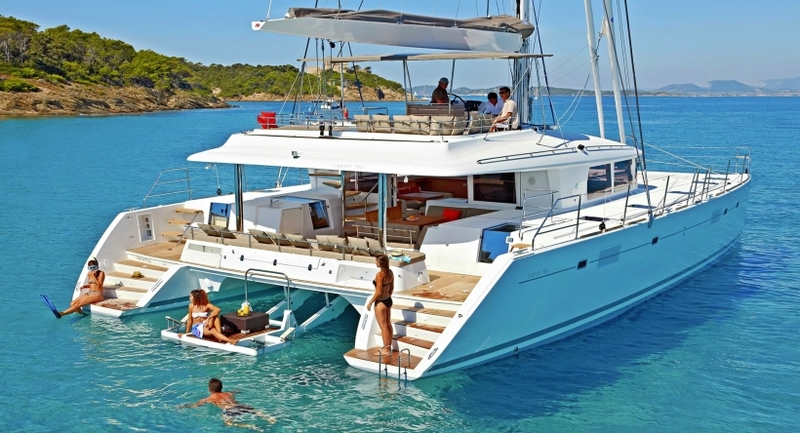 A highly professional crew of 2 will guarantee an unforgettable charter experience, by taking you to unspoiled coves and bays, indulge you with sceneries of paramount beauty and be your guides throughout your Greek yachting experience. 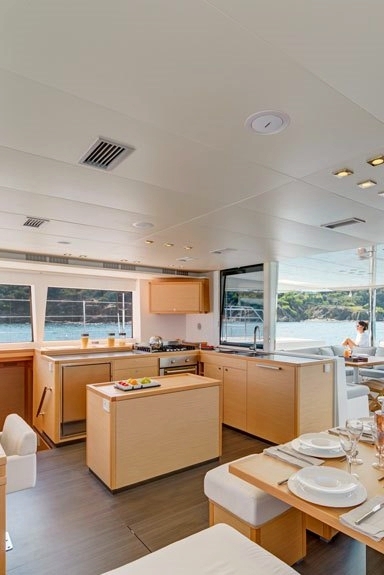 Our on board Chef will satisfy your every culinary wish and even more, preparing according to your preferences, dishes from the Greek, French, Italian and Asian cuisine.